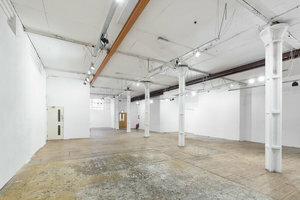 This 2,640 sq ft gallery space is located just steps from Angel Station. 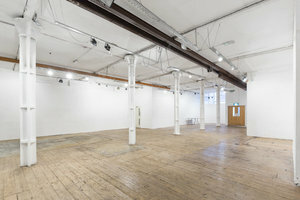 It is ideal for Exhibitions, Private Sales and Events. 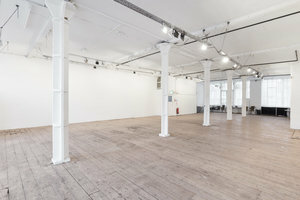 Housed in a Victorian building, the space has an authentic feel and classic interiors. 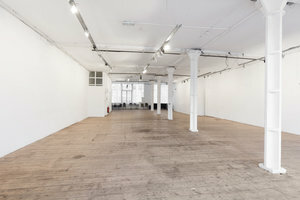 With white walls, original wooden floors, steel pillars and an open plan, the space is welcoming and adaptable. 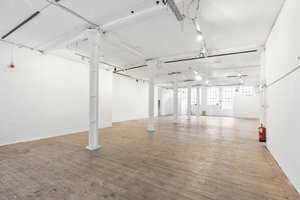 Utilitarian spotlights give the space an industrial edge and create a bright atmosphere. 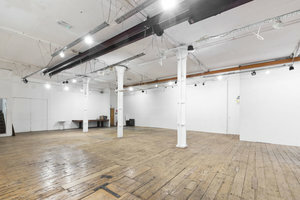 This space is easily accessible and a great location for creative private events.